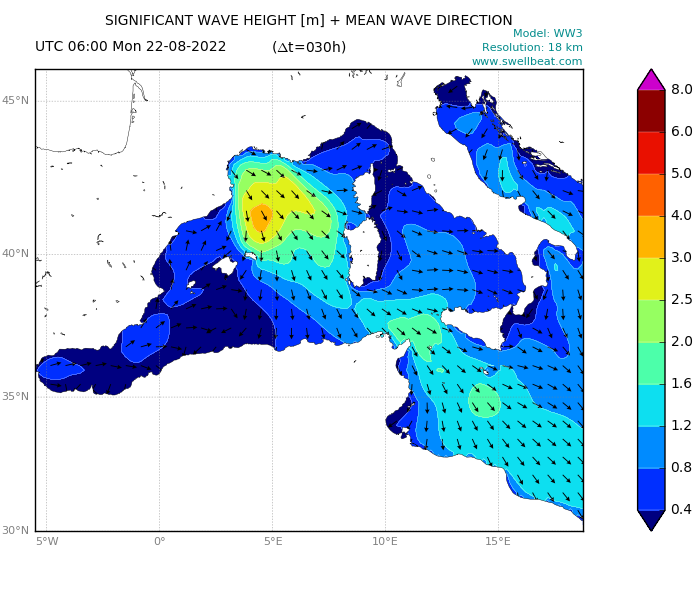 Go back to the Western Mediterranean Wave Forecast. Long swell waves travel faster and reach the coast sooner than short waves! This image is quite clear! More forecast on swellbeat.com!